Today I am talking about 2017 goals and the reason for that is we are now in a new year and this is obviously the time of the year when we focus on our goal setting. Now, the most common trait of all successful people is that they do not set goals right at just the beginning of the year, but that they set goals all throughout the year. They have written goals, they monitor them and they keep them up to date. This is what I am going to advise — is that when you set them, you try to achieve them, but measure them — and this is what I mean by progress points. We need to continually check up on the goals we have set and see if we have made any progress to them. Any goals you set whether short term or long term, it needs to move the business forward and ahead into a better place. If anything gets in the way of your goal while you are progressing, then maybe your goal is not important enough. Perhaps you should re-think them and reset them — because there is no harm in that. People get better and people. Setting goals is like anything else, you get better and better and better as time goes on. Now, I am going to assume that you are not like everyone else and go over the top with your goal setting, but that you are going to choose 3 major goals for the first 90 days. 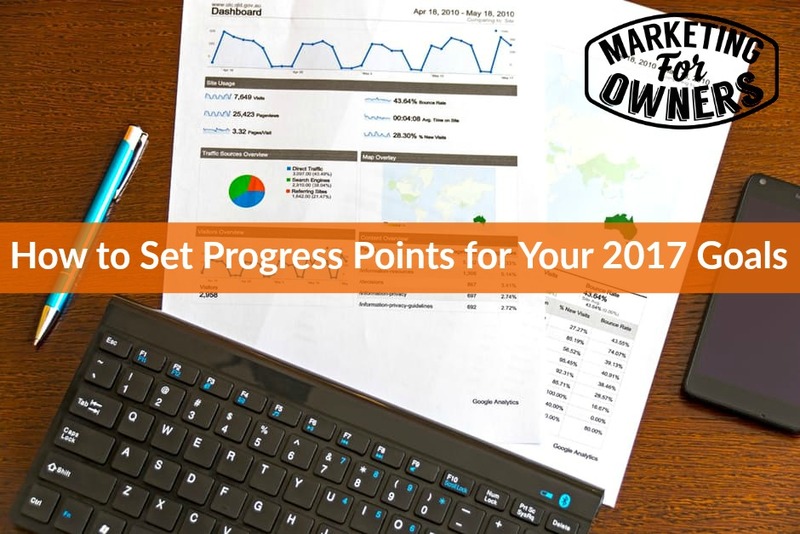 What you need to do is you need to break those goals down into mini projects. To achieve a goal, it needs to turn into a project. They have said a goal without a deadline is just a dream. And turned around it can be said that a dream without a goal is just that –a dream. Set deadlines and reverse engineer. Now, in those mini projects, you can break one goal down into 3 months. Then take those 3 months and the projects you set to accomplish those months and break those down into 4 weeks. Then you can take those weeks and figure out the 3 most important things each day during that week that need to be done in order for that mini project to be complete. Then you can add these to a to-do list. Now, I would not advise putting all your mini project details all at that front. I mean, you can have them all listed for each project, but only focus on those that you are creating for that week. While you have your master list of what needs to be done, every day you only pull out the 2-3 major things that need to be done that day. Doing just 2 things a day for a week equals 10 things total for that week. In a month’s time that is 40 things you were able to complete. This is important enough for you to take an afternoon once a month, and do this. Go to Starbucks or the coffeehouse down the street and write this stuff down and plan it out. Once you do this and start achieving it, it will not be bored. You will be getting stuff done. This works. Just try it. Today is Tuesday and that means it is time for a toolbox tip. Today’s tip is CamStudio by Open Source. This is a free tool to help you make online videos such as tutorial videos for your staff. It records everything you do on a screen. It is really helpful in teaching your staff what you want them to do. Tomorrow is the expert interview series and it will be the amazing Sean McCabe — and we are actually going to have him on twice because he has so much great stuff to stay. Then on Thursday I will be back with another great tip.